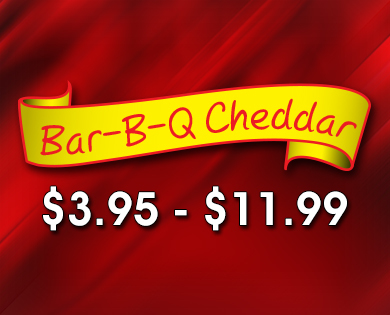 > (CH2) Bar-B-Q Cheddar- Sweet southern Bar-B-Q spices combined with our Cheddar Cheese popcorn. A savory and mouth watering experience. Sweet southern Bar-B-Q spices combined with our Cheddar Cheese popcorn. A savory and mouth watering experience.